Diagnostic Microbiology and Infectious Diseases Summit organized by Lexis conferences, will be held in Dubai, during September 09-10, 2019. 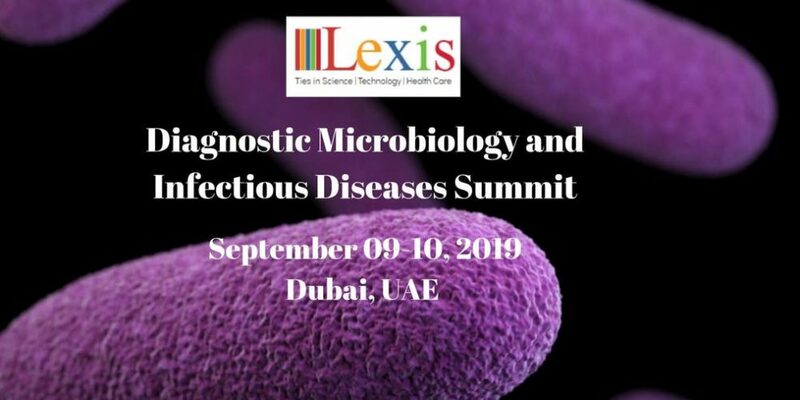 This conference invites the delegates from universities, research field, hospitals, healthcare, public authorities to discuss and explore opportunities related to diagnostic microbiology and infectious diseases. The main topic of the conference – Expanding and Exploring the Possibilities of Diagnostic Microbiology in Infectious Diseases. The event assembles the scientific sessions with keynote speakers, plenary lectures, oral and poster communications, and roundtable discussions, panel discussion, debates and workshop along with an exhibition and networking opportunities.